Himax 2.0mm Driveshaft with related hardware for shaft replacement. 34.1mm long, smooth, no grooves or flats. For HC 2808 series outrunner motors. Himax 2.0mm Driveshaft with related hardware for shaft replacement. 38mm long, smooth, no grooves or flats. For HC2812 series outrunner motors. 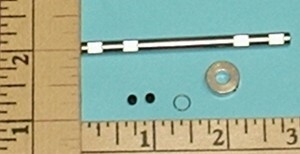 Himax 3.2mm shaft with set screw collar, one split ring and one set screw. For HC 2808 series outrunner motors. 40mm long with 4 flats, 3.2mm locking collar. Himax 4.0mm Driveshaft with one collar and one set screw. For HC 2808 series outrunner motors. 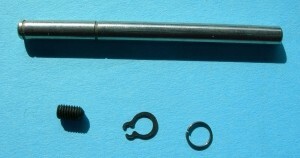 Himax 4.0mm Hollow Driveshaft with one collar, set screw and spring. For HC 2808 series outrunner motors. Himax 4.0mm shaft, 40mm long, 4 flats, with one collar, one set screw and one clip. For HC 2812 series outrunner motors. Himax 4.0mm Hollow Driveshaft with one collar, set screw and spring. 40mm lengh, 4 flats. For HC 2812 series outrunner motors. 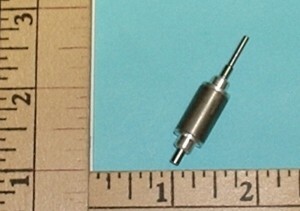 Himax 4.0mm Hollow shaft with one collar, set screw and spring. For HC 2816 series outrunner motors. This shaft also replaces MPIHC2816-5. The hollow shaft is the only avialable part for a 2816 motor and the correct factory replacement according to MPI. 48.5mm lon, 4 flats. Himax 4.0mm Solid Driveshaft with one collar and two set screws and cir-clip. For HC 3510 motors. Smooth shaft with ground flats. 48mm long. Useful for repairing many other brand motors as well. Himax 5.0mm Solid Driveshaft with two clips and one set screw. For HC3514 motors. Smooth shaft with cerclip groove. 52.3mm long. Useful for repairing many other brand motors as well. Himax 5.0mm Solid Driveshaft with one collar and two set screws and cir-clip. For HC 3516 motors. Smooth shaft with ground flats. 62mm long. Useful for repairing many other brand motors as well. Himax 5.0mm Solid Driveshaft with one collar and two set screws and cir-clip. For HC 3522 motors. Smooth shaft with ground flats. 68mm long. Useful for repairing many other brand motors as well. 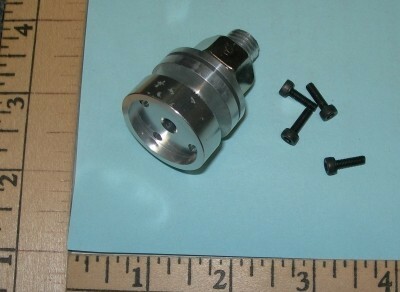 Himax 5.0mm Solid Driveshaft with one collar and two set screws and cir-clip. For HC 3528 motors. Smooth shaft with ground flats. 74mm long. Useful for repairing many other brand motors as well. Replacement of the shaft requires the replacement of the rotor. This is generally true of all inrunners. If your HiMaxx 2025 motor has a bearing boss on the front (protrustion for the front bearing) then this is the required shaft. Replacement of the shaft requires the replacement of the rotor. This is generally true of all inrunners. If your HiMaxx 2025 motor has a smooth front (no bearing boss or other protrustion in the front) then this is the required shaft. Replacement of the shaft requires the replacement of the rotor. This is generally true of all inrunners. If your HiMaxx 2015 motor has a bearing boss on the front (protrustion for the front bearing) then this is the required shaft. Rotor/Shaft Assembly for HA2015 Motors for use with flush endbell (current production) motors. 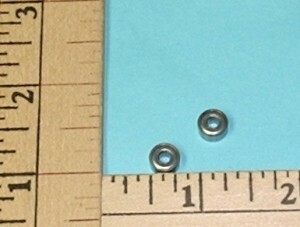 Package contains 2 each 3x4x4 (IDxODxWidth) ball bearings. Your motor shaft is turned down to 2mm on the outside but 3mm OD inside bearings and rotor. Genuine Japanese bearings, genuine factory parts. 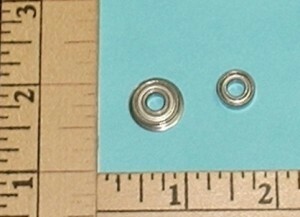 Package contains 2 each 9x4x4mm (ODxIDxWidth) ball bearing and 1 each 8x4x3 ball bearings. 28 series motors use 2 bearings on 4mm shaft. Genuine Japanese bearings, genuine factory parts. 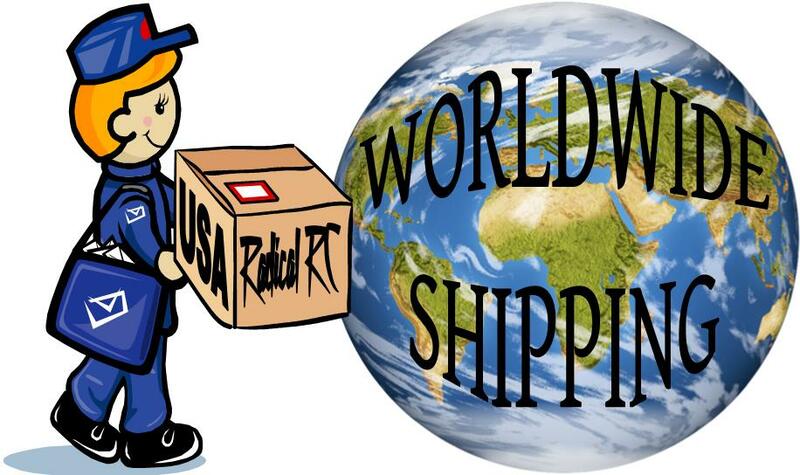 Package contains 1 each 11x4x4mm (ODxWidthxID) flanged ball bearing and 2 each 7x2.5x4 ball bearings. Early motors use 3 bearings on 4mm shaft. Genuine Japanese bearings, genuine factory parts. Package contains 1 each 11x4x4mm (ODxWidthxID) flanged bearing and 1 each 9x4x4 ball bearings. Motors use 2 bearings on 4mm shaft. Genuine Japanese bearings. Genuine factory parts. Package contains 1 each 9x4x4mm (ODxWidthxID) ball bearing and 1 each 10x4x4 ball bearing. Motors use 2 bearings on 4mm shaft. Genuine Japanese bearings. Genuine factory parts. Package contains 1 each 14x5x5mm (ODxWidthxID) flanged ball bearing and 1 each 11x5x5 ball bearing. Motors use 2 bearings on 5mm shaft. Genuine Japanese bearings. Genuine factory parts. 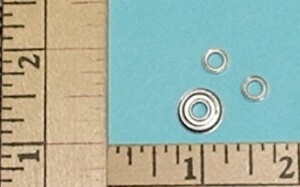 Package contains 1 each 15x5x6mm (ODxWidthxID) ball bearing and 2 each 12x4x6 ball bearings. Motors use 3 bearings on 6mm shaft. 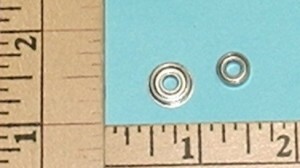 Genuine Japanese bearings. Genuine factory parts. Anodized aluminum Stick mount without heat sink for Himax 28XX series motors. Adpats these motors to 10mm (3/8") square booms. Comes with screws required to mount to side of motor housing. Himax 6.0mm Solid Driveshaft with one collar and two set screws and cir-clip. For HC5018 motors. Smooth shaft with n ground flats. 75mm long. Useful for repairing many other brand motors as well. Himax 6.0mm Solid Driveshaft with one collar and two set screws and cir-clip. For HC5030 motors. Smooth shaft with n ground flats. 85mm long. Useful for repairing many other brand motors as well. Replacement rear (bolt on) prop adapter for 6320 and 6330 series Himax Outrunners. Includes new fasteners to mount to Himax motor, washers and 12mm nut. For those wishing to check other brand motors for possible fit, adapter is setup for 4 each 3mm fasteners in 8mm diameter circle, fits over boss .982" (24.9mm) diameter and adaper base is recessed .132" (3.35mm) to accept boss. Shaft length is 1.45" (36.7mm) long with a diameter of 12mm. Replacement front prop adapter for 6320 and 6330 series Himax Outrunners. Unit is secured with 2 large set screws and would be useful on any motor with an 12mm shaft. 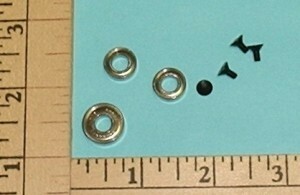 Includes washer and 12mm nut. 1.65" (42mm), base diameter 1.18" (29,88mm), prop shaft length 1.325" (33.65mm), depth of bore for motor shaft .987" (25mm).